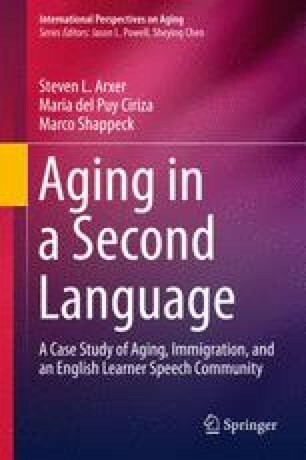 This chapter investigates how language socialization in the immigrant context cannot be separated from gender roles and their associative sociolinguistic practices. Exclusionary interactions that emanate either from the dominant or immigrant community have the potential to limit both women and men’s mobility and their access to native-speaking interlocutors. Studies in immigrant gender identities link potential changes in social position to the simultaneous shifts experienced by immigrants in a new economic context. Participating in formal language resocialization may deviate from expected gender roles and may be discouraged by family and friends. As our data show, however, the ESL classroom space can be a site where older women and men renegotiate gender norms to become gender allies in the process of second-language acquisition.